Submitted by lynn on Thursday, December 22, 2016 - 11:23pm. 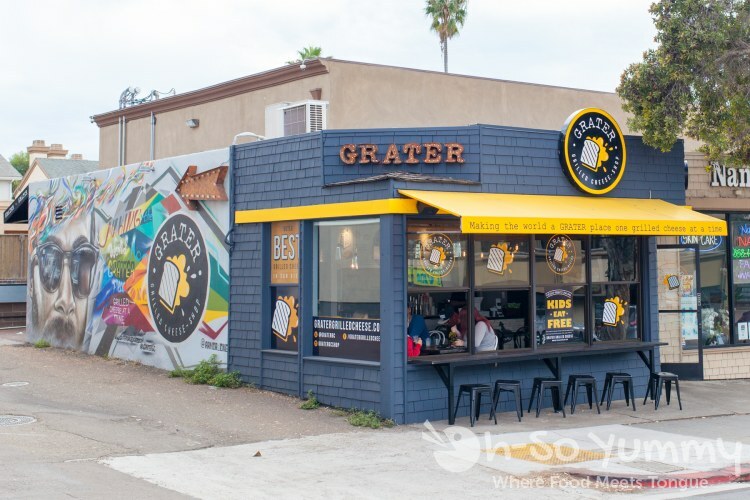 I've been wanting to try Grater Grilled Cheese ever since the first brick and mortar location opened in La Jolla. Before I knew it, there was another one in Mission Valley plus a third one is slated to open in Del Mar in 2017! 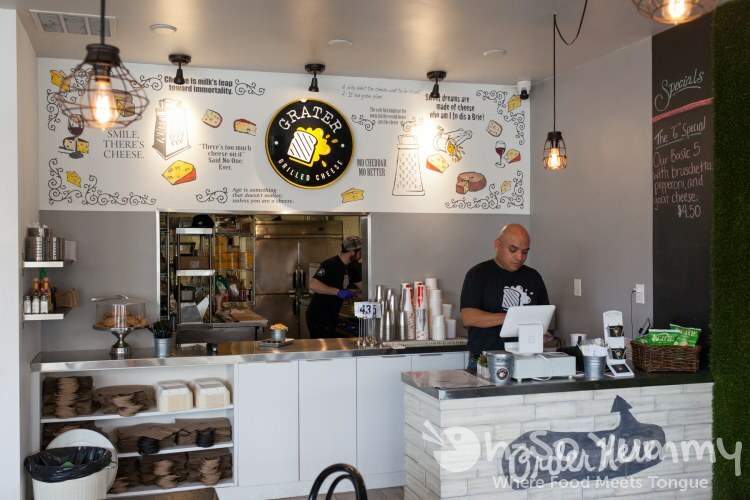 We had a chance to stop by one of the existing locations (La Jolla) to check out this fast casual restaurant. It was an overcast Saturday afternoon and the beaches weren't as busy as the summer months so we were able to park across the street. You basically order at the counter then they will bring your food out to you. Friendly Juan was working the front register and recommended a few items, as well as customized combinations that he personally enjoyed. The menu had plenty of grilled cheese options and we decided to try two flavors plus some other food items. Overhead shot of the goods. I'm excited just looking at the picture again! Because this meal was heavy in the bread and cheese department, I had to order one of their salads to balance out the meal! Service was really fast and this was the first item to arrive at our table! 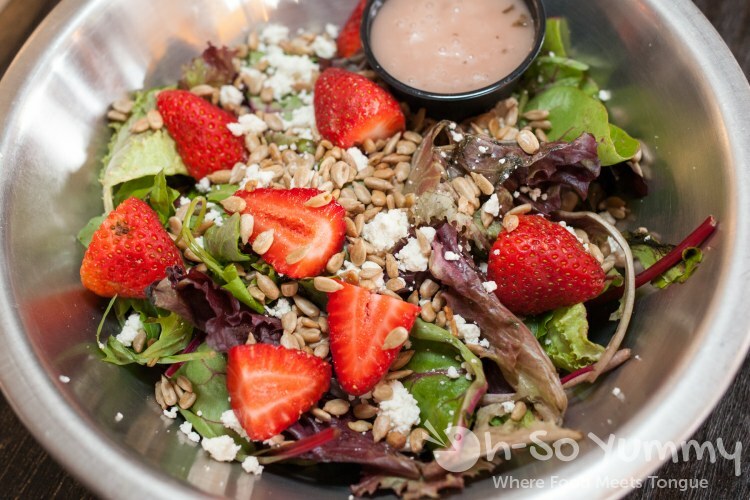 The medium sized simple salad was dressed up with chompable pepita seeds, strawberries and a decent raspberry vinaigrette, but still a little too plain for my tastes. I admit while eating this, the tune of ooey gooey cheesiness kept marching through! Goat cheese doesn't cut it. At least I tried to do something healthy. We decided to order the basic fries which were crispy thin with a strong parmesan salted flavor. You could see the chunks of seasoning which was part of the fun of eating them. On the side were our choice of three sauces: beer chipotle aioli, grater ketchup (their version of ketchup with cinnamon and nutmeg) and a spanish pimento aioli flavor. 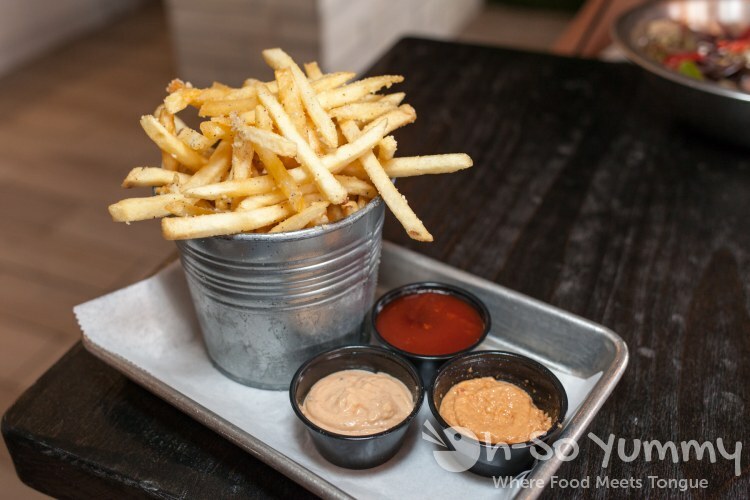 The favorite was the house ketchup, a nice sweetness with a subtle spice flavor that really complemented the fries or whatever else you'd normally eat with ketchup! The other two sauces were also tasty and Dennis was especially a fan of the pimento aioli. Additional sauces (if three isn't enough) can be purchased for 25 cents more. There's also the option of buying loaded fries (add-on proteins) but I thought it would have been too much food to eat for this meal. 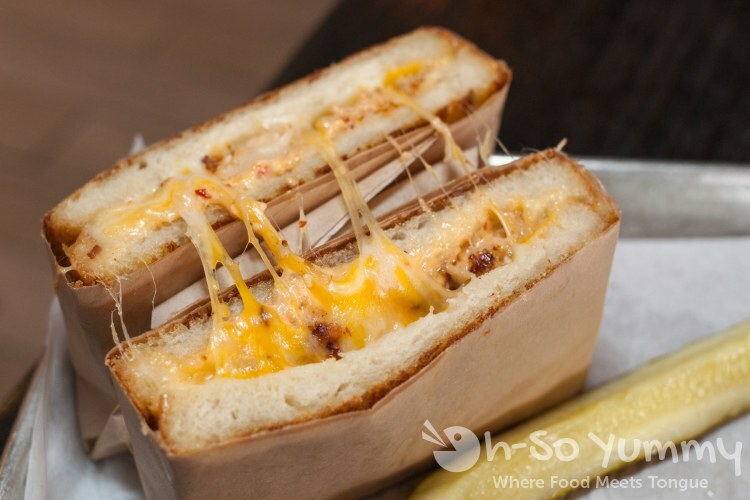 Grater Grilled Cheese used a five cheese blend as its sandwich base, then added in other ingredients to create the different flavor combos. 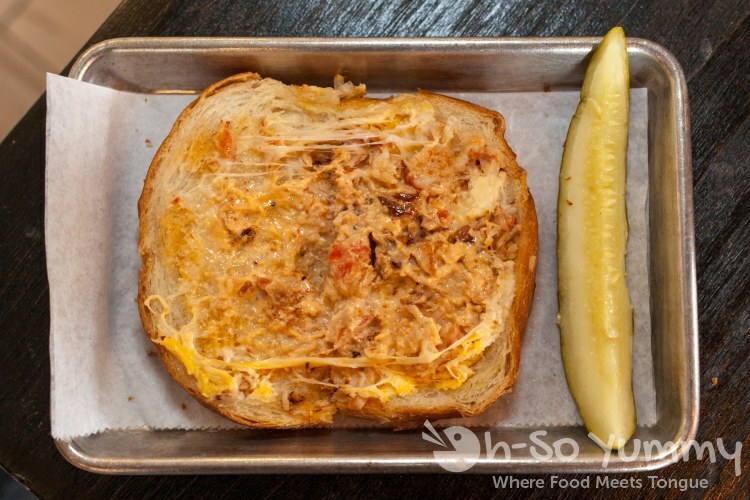 The Grater Grilled Cheese signature sandwich sounded amazing from the description and was definitely a melting pot of many ingredients. 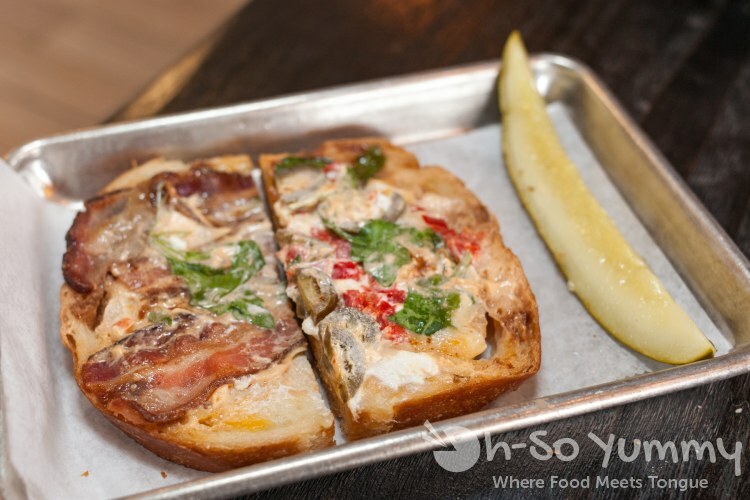 In fact, it was a bit too complex and overpowered the cheese flavor, which should have been the star of the show. It's still a good sandwich but here, more is not always better. I'd stick to some of the other simpler but fantastic combinations for the next visit. 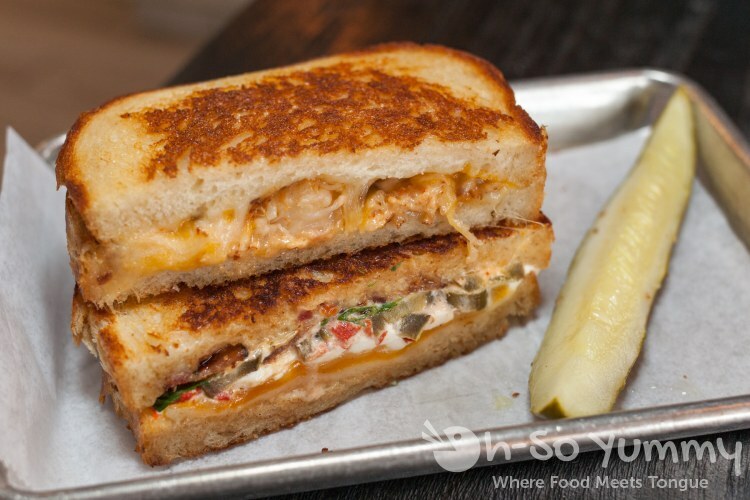 Grilled cheese sounds simple enough but as soon as you actually try one of these sandwiches, you think, yea, I've never made one like THAT before! 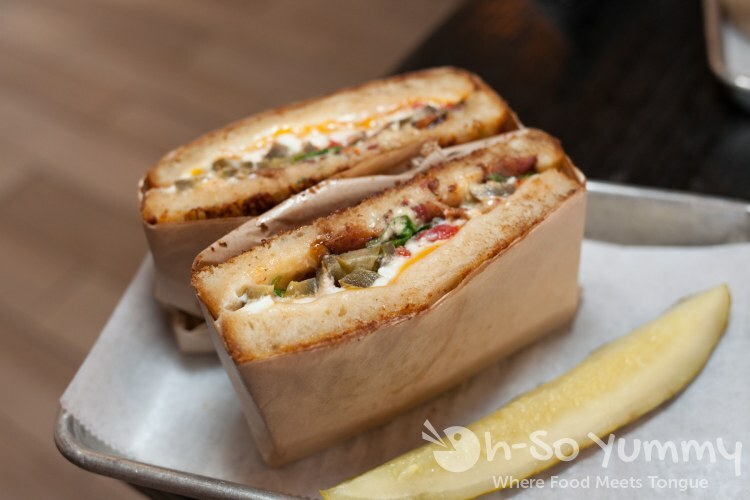 The sandwiches don't look huge but they definitely fill your belly with happiness. Promotions like kids eat free on Tuesday nights add more incentive to come in the middle of the week. 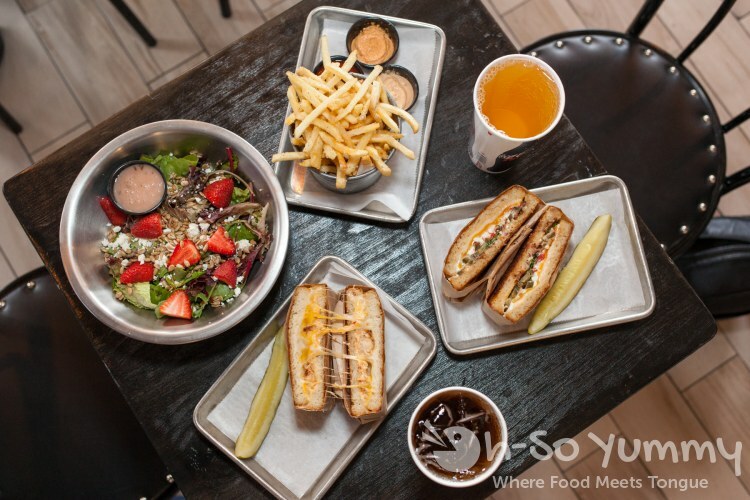 If you haven't popped in for a bite, make sure to stop by your nearest location (La Jolla, Mission Valley, soon to be Del Mar) and bite into some deliciousness! Lucky! It's tough getting parking down there. Merry Christmas! best day to go is on a cloudy day during off season haha!